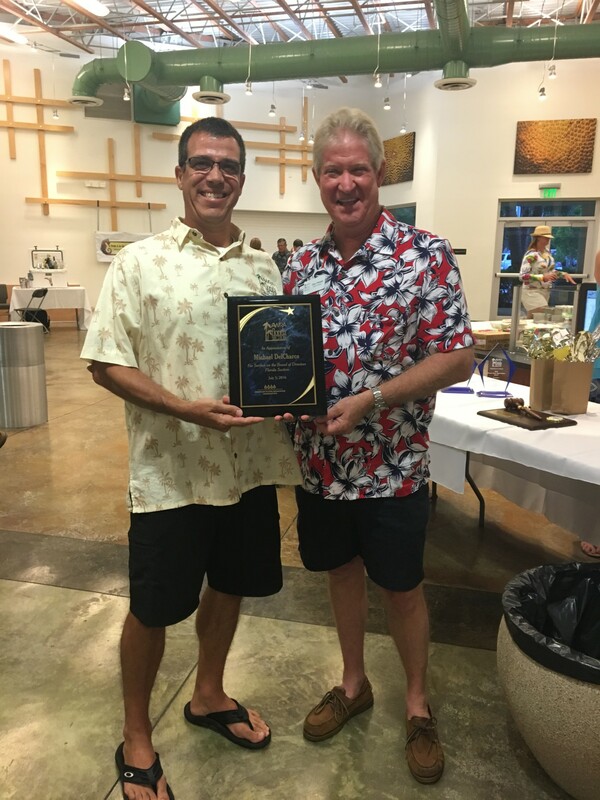 We have been coming to the Keys every year since 2001 – sometimes to Key West and sometimes to Key Largo – depending on where the conference was being held. 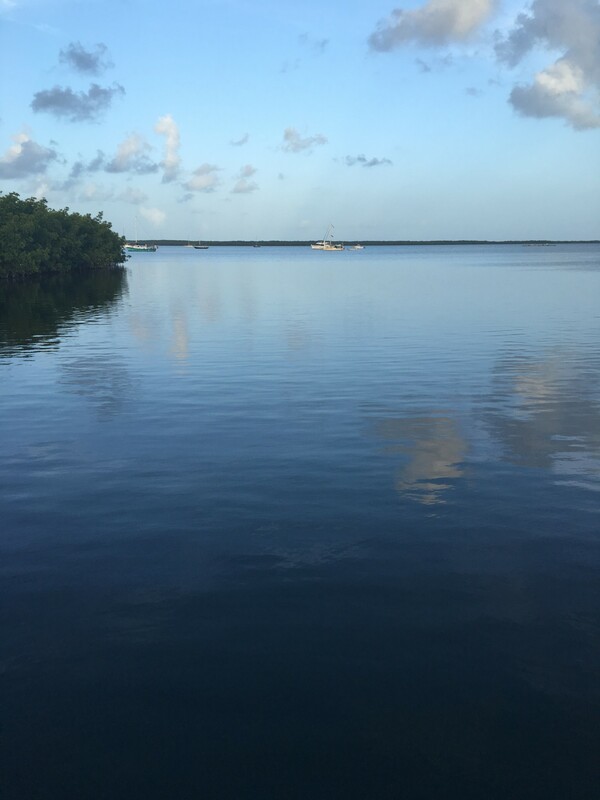 Since it was in Key Largo this year, here is my list of can’t-miss things to do there! 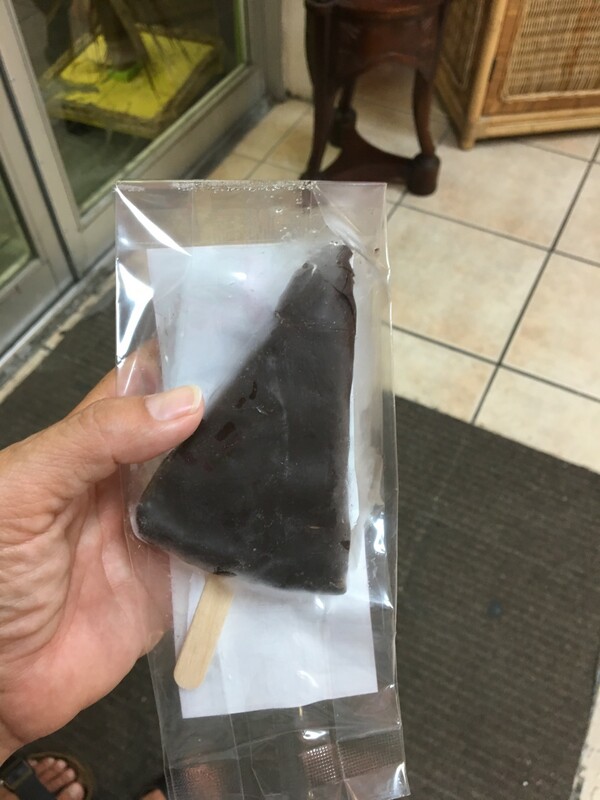 We have made it a mission to try as many key lime pies as we can when we are down here and hands-down my favorite version is the frozen key lime pie on a stick. Several different places sell them. It’s delicious! 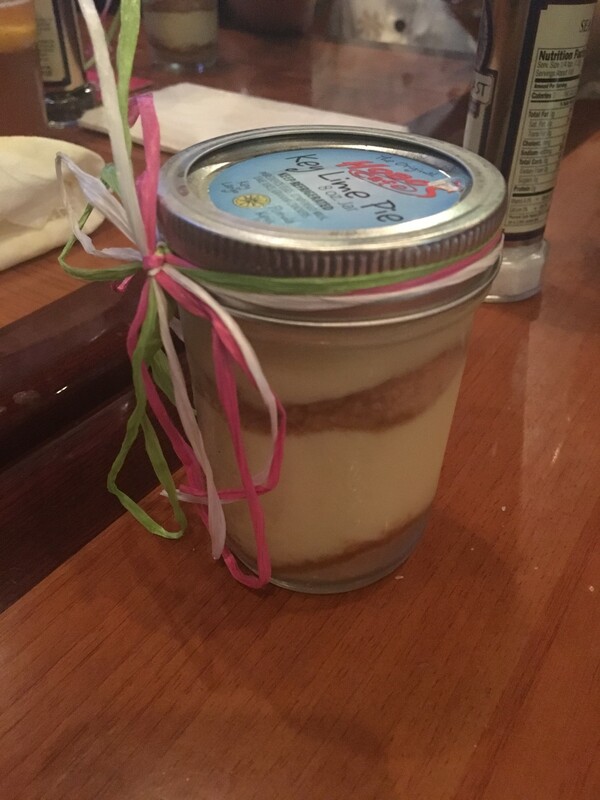 A new find this year is the key lime pie in a jar. An interesting version (but not MY favorite) is the fried key lime pie where a piece of pie is wrapped in dough and deep fried. The best one is at the Pilot House where you can see the fish through the glass floor squares. They even light it at night. Very cool! This one was interesting because it was panko crusted. But the pie itself wasn’t very good. IMO. You can try snorkeling at John Pennekamp State Park but we’ve never done that. 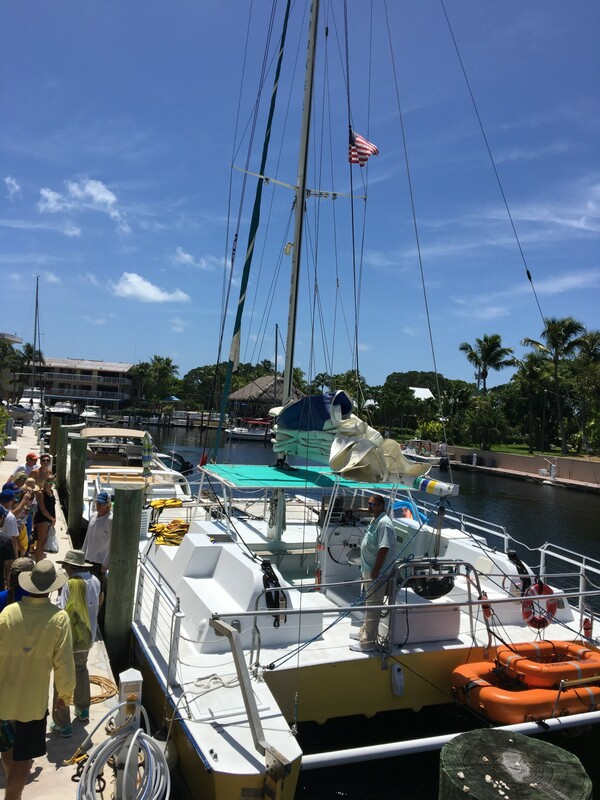 Every year we go out on a giant catamaran to offshore reefs. 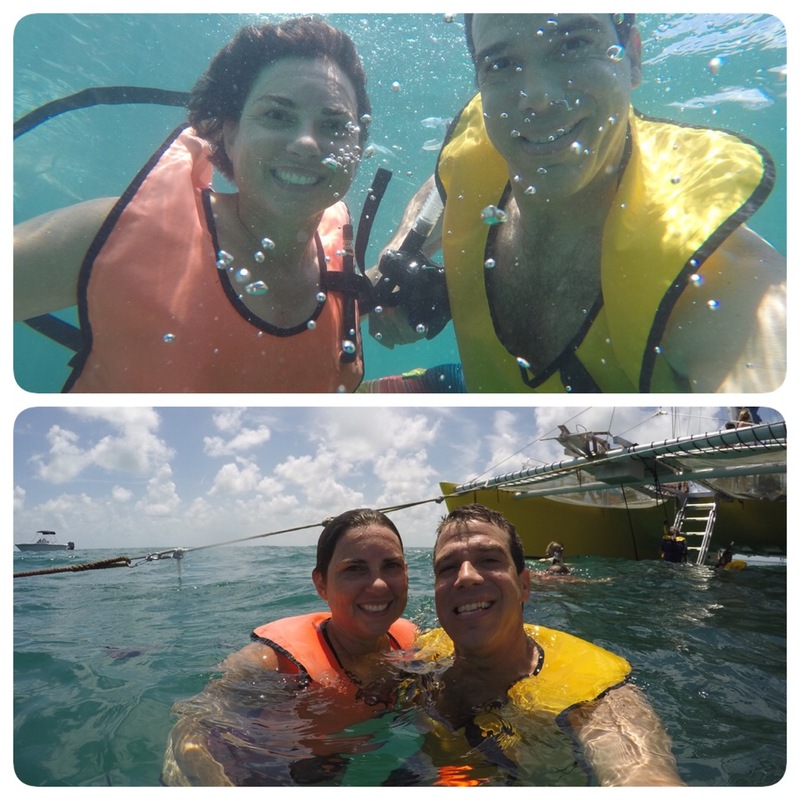 Our favorite outfit is Snorkel Key Largo. It’s seriously amazing to snorkel on a reef. It’s like swimming in a giant aquarium. Definitely bring your GoPro or borrow one from a friend! You can plan on about $45 per person. They provide you with all the equipment, go 3.5 miles offshore and make two stops. On the latest trip we stopped at Mosquito Bank North and then we went to Mosquito Bank South. There are two locations in Key Largo but our preferred one is the second, more southern location (near MM 96). I remember the first time we stopped here I was a little skeptical, expecting it to be full of tacky touristy stuff. 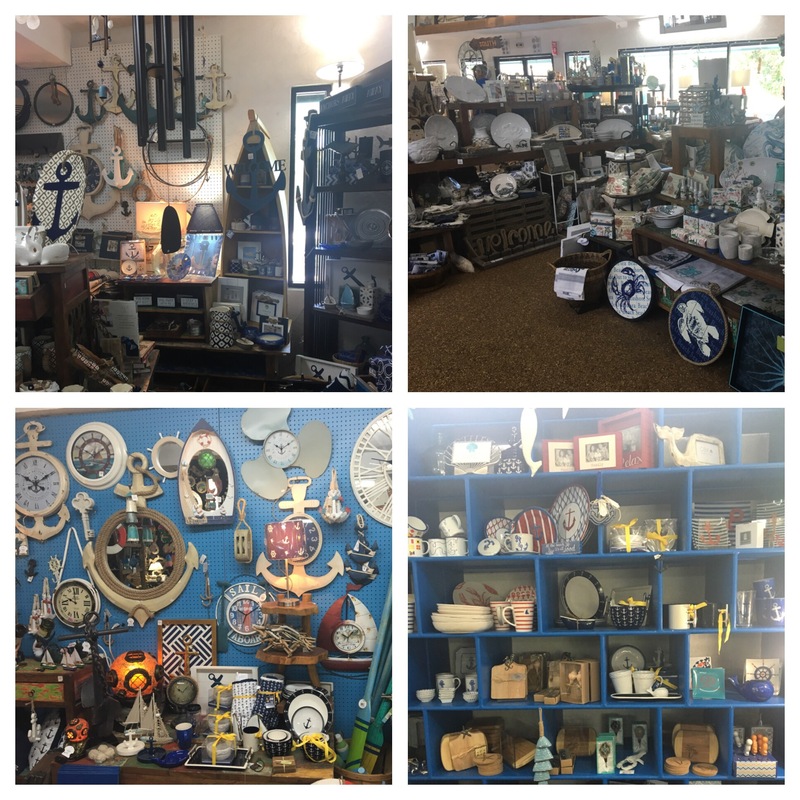 Although there is a little bit of that, most of the store is actually really, really cool! I like to buy a souvenir piece of jewelry. My collection is growing nicely. 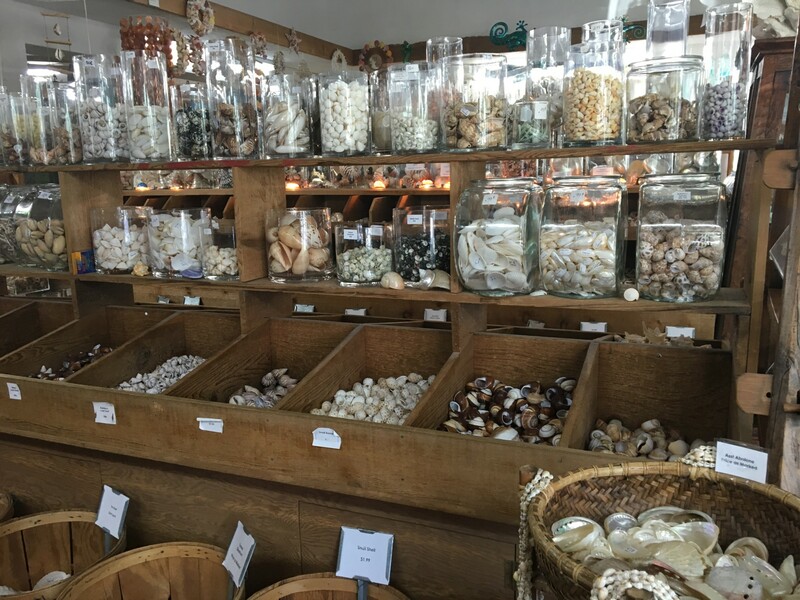 And of course they sell shells. 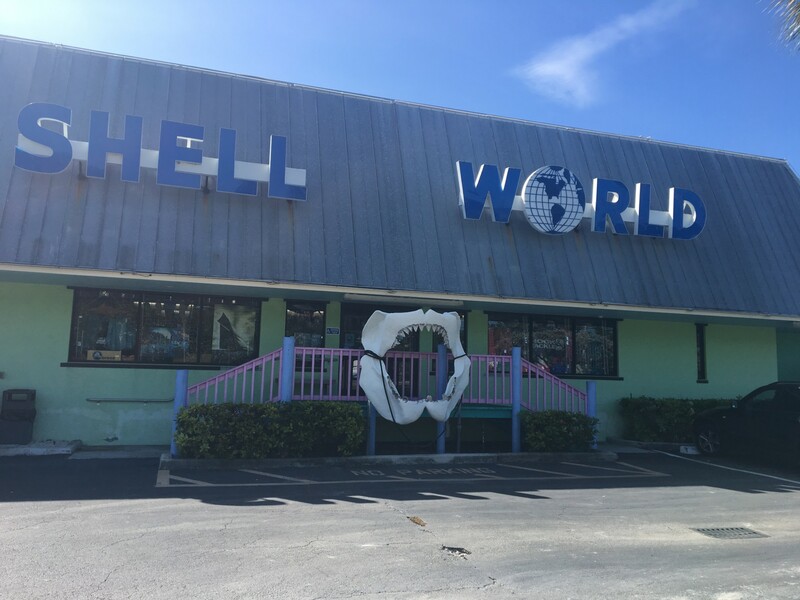 It is *Shell* World after all! I mean, it’s the Keys, right?? It’s all about laid-back and relaxing. 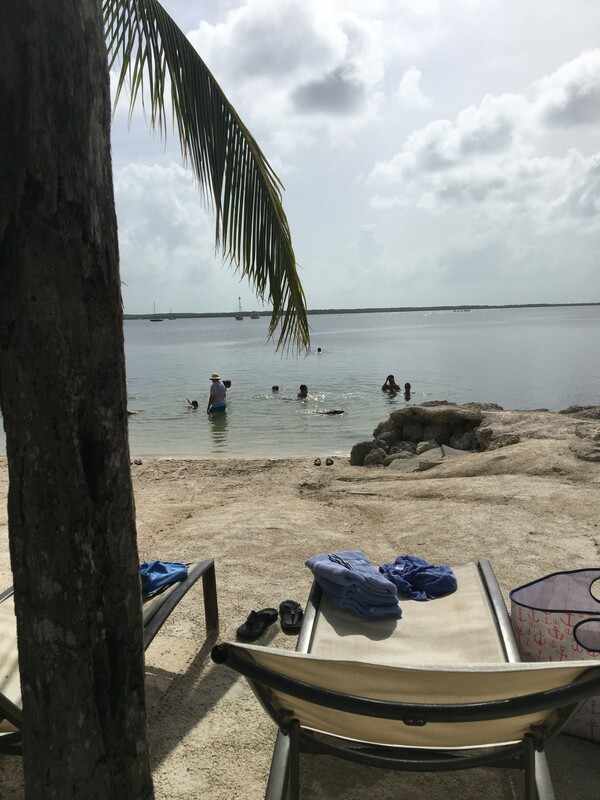 People mistakenly believe that there are nice beaches in the Keys. Actually, most of the islands are surrounded by mangroves. However, hotels do a pretty good job of creating man-made beaches for hanging out on but they certainly are not the best beaches in Florida. The views are amazing, though, so taking time to just chill in a chair, under a palm tree while gazing out at the blue expanse is definitely on my to-do list when I’m down here! Extra points if there’s a cold adult beverage in my hand. 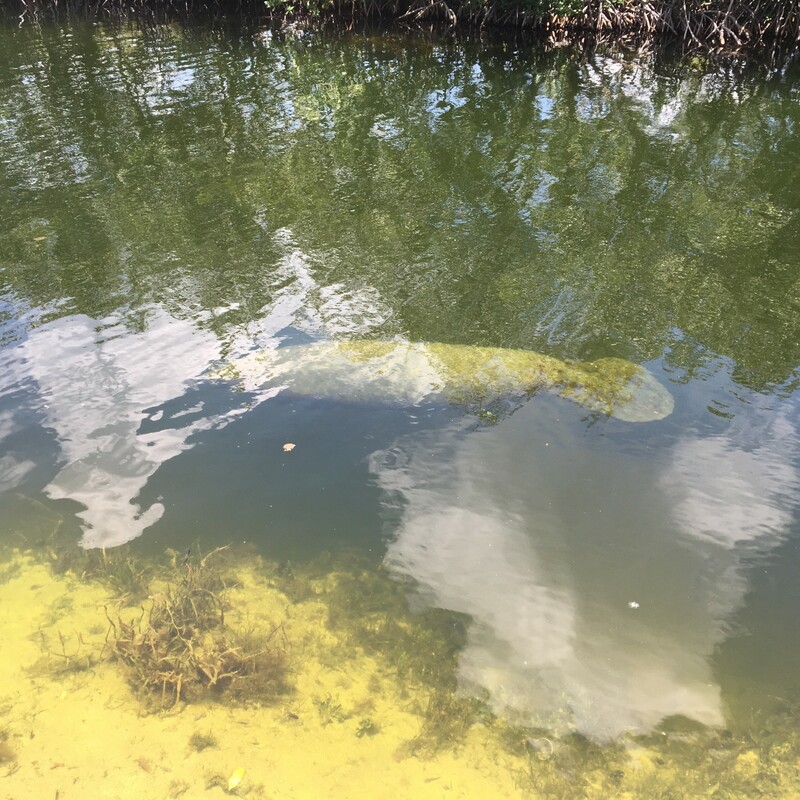 If you’re lucky (like I was) you might see a juvenile manatee swim by! There’s a large population of Cubans so the food is very authentic and delicious! Stop by the Pinecrest Bakery for cafe’ con leche and a pastry! There was only one woman who spoke English this last time! Talk about authentic! The Keys are pretty pricey but the seafood is so incredibly fresh that you just have to pay the piper. Personally, I do not eat any crustaceans but I have grown to like some types of fish. I had some really yummy yellow tail snapper and mahi mahi. I think this was mahi mahi on a salad. So there you have it! My list of things we do every time we go to Key Largo! Be sure to pin this to help you remember for your trip to the Keys! Have you ever been to the Keys? What’s your favorite thing to do there? I haven’t been to the Keys, but they are on my bucket list! As much as I’ve traveled I’ve actually only been to Florida twice… once for the “homegrown STC” and once for FPEA. Didn’t see the ocean or Disney or anything at all really, either time. Some day we’ll drive down there. Disney is not on my bucket list, but I’m sure there are many other things I would enjoy. You are welcome to stay with us! I can house all 4 of you if you and Lyle don’t mind getting cozy in a double bed! We have a twin with a trundle for the girls! St. Augustine is only 30 mins from us, the beach 20. Come on down….!!! I’m going to have to google to see where the Keys actually are in Florida, sounds like a wonderful place. The southernmost tip of Florida has a string of islands that is connected by a highway. It’s past Miami. You are in the tropics there! Not so where I live. So cool! Love that you get to travel with him when he goes. 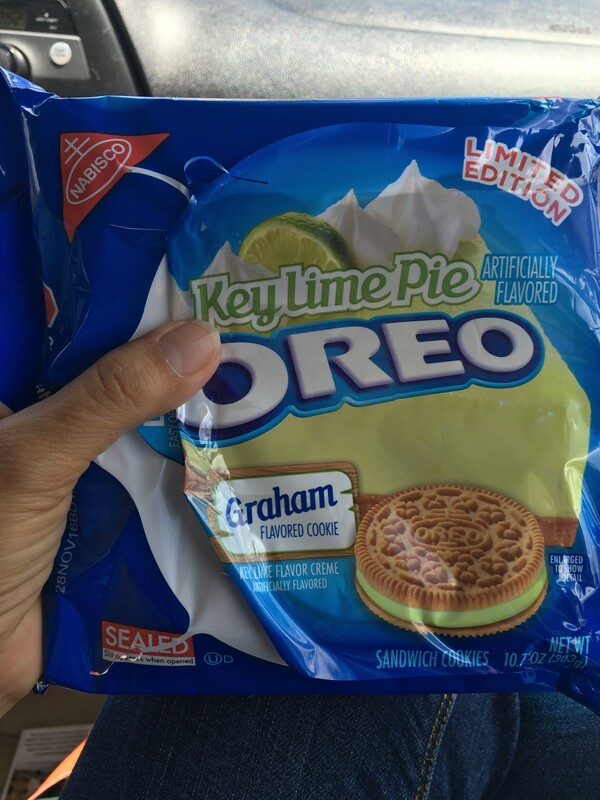 🙂 And I think that Andrea needs to go to try all things Key Lime! Yes! It’s been so fun over the years to tag along. And it will only increase as kids leave home! Pretty soon it will be my full-time job! Agreed! I think Andrea needs to make a trip! A “good mom” trip!! Kayaking is one of my favorite things to do in the Keys! And eating food. Yes! We have kayaked before but not on this trip. Yay food! ? George and I were just saying that we really want to visit the Keys. Loved all your pictures! You can fly into Miami or even Fort Lauderdale, rent a convertible and drive down! I love the drive from the mainland to the islands! Didn’t I send you key lime juice? It is seriously the easiest thing in the world to make! Do it!! My mouth is truly watering over here and I just ate dinner. Kind of started with dessert first in this post, huh? Always a great idea in my book. The platanos look goey and delicious. I will eat your share of crustaceans. Love them. Was your underwater pic taken with a GoPro or ProGo or whatever it is? We tried used an underwater disposal camera with terrible results. Your pic is fab! Would love to go back to the Keys again some day. You can have all the sea bugs! Eww! The platanos are a FAVORITE!! Yes, a GoPro. We took a ton of photos! How lucky you are! That’s a beautiful place to visit. I’ve been there once, I think it was Key West. I was surprised to walk and walk into to ocean and the water was only up to my knees! 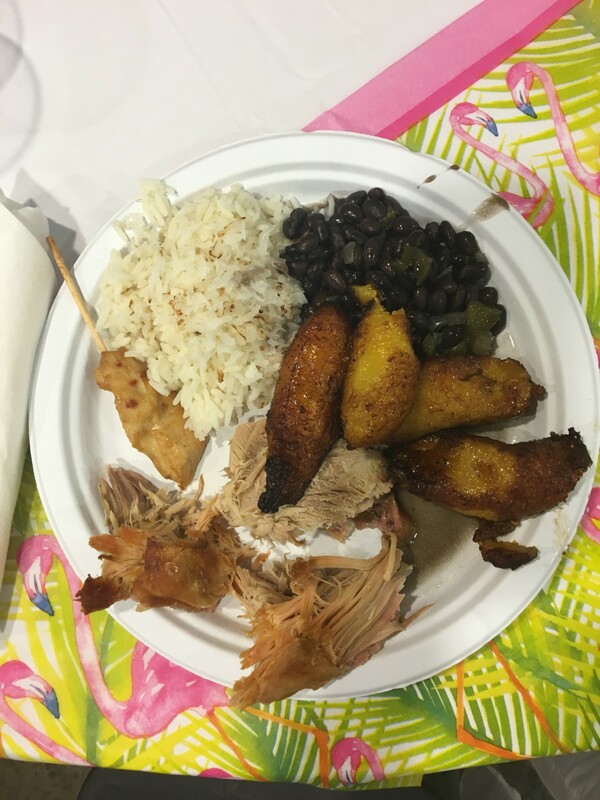 As a good Latina, I love most of the food one can find in Florida, YUM! 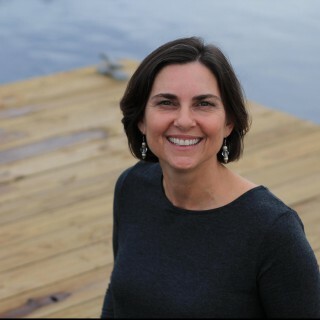 Hey, I love that underwater pic of you, I’ve never snorkeled, but I might give it a try. Snorkeling is not hard at all but it needs to be where there is something to see! Where I live in Florida the water is really turbid so visibility is 0.